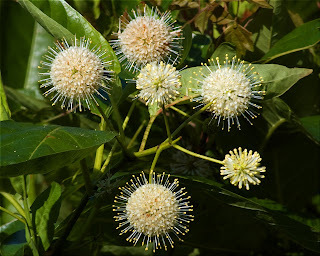 The native Buttonbush is found in low lying wet areas. This one was taken in the Emeralda Marsh which is part of Lake County's birding trail. The wildlife drive is open for only a few months in the winter to cars but can be walked or biked year around.